Today’s air quality has become a vital matter for all of us and it should not be ignored at any cost. Poor air quality can bring many harmful diseases in our life which would not be good for our health. India is one of the top polluted countries in the world which has been affected badly by air pollution. By Hearing the term air pollution, what first speculates in our mind is the dirt, smoke and unhealthy gases that people are breathing in the open atmosphere around them. A noticeable term here is ‘air’, which is not only limited to the air in the open surroundings or the outdoors. It is present in offices, buildings and even our homes. Hence, people always feel safe in imagining their indoor lives but reality is totally different. 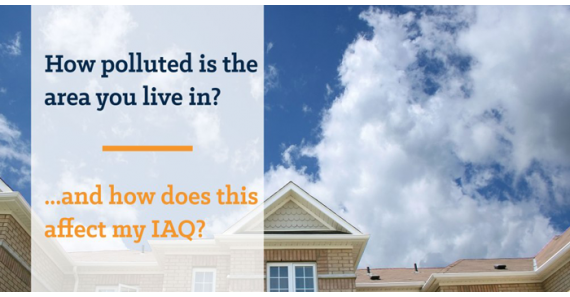 It would be really vital for you to understand that the indoor air pollution is more hazardous than outdoor. For example, if you are keeping a rotten apple in a closed box, it would smell worse than if kept in an open surrounding. Researchers, scientists, and environmentalists are making people aware of rising carbon emissions, ozone depletion and a gradual decrease in the air quality, but what is left untouched is the knowledge on indoor air pollution. Since, air is present both in indoors as well as outdoors. Science has proved that air pollution can cause a very high impact on our skin. Along with the skin, hands, face are the most prone parts that are on a high verge of getting affected. Thus, neglecting indoor air pollution can destroy your health completely. One might even wonder as to what could be the possible reason behind air pollution? It is worth understanding here that indoor air pollution has its roots set in things that one might not pay attention to. These can be furniture, cleaning products, computers, air fresheners as well as cooking. All of these small things can make the air around you impure and unhealthy. It is where the need for air purifiers comes. If we ever see any picture of a northern Chinese women or any old lady of the times when food was prepared from coal or wood, the wrinkles on their faces are easily noticeable. They were severely affected under the eyes, on their hands i.e. the area that was most in common. There is particulate matter and other chemicals that are studied and have exhibited harsh effects on human skin. They are phthalates and organic compounds like polycyclic aromatic hydrocarbons (PAHs). They tend to be present in the indoor air, thus, causing harm to the people in the vicinity. One of the main sources of phthalates can be traced to be plasticised polyvinyl chloride (PVCs) which is commonly used in making of floors, pipes, adhesives, cosmetics and a huge range of household products. And since, phthalates are not chemically stuck to PVCs; they are constantly being released into the air. They are found indoor in high concentration as people try to keep their indoors packed these days. Indoor air pollution might seem to be a big issue for you, but it is not an impossible one. Once this world start organising meeting and discuss over global warming, ozone depletion, degrading air quality index, then, individuals can certainly works towards making the air in their homes cleaner and pure. Also, with the advancement in technology, there are options such as air purifiers available to the consumers. Today whole world is really serious about the increasing air pollution, detrimental air quality and every individual must care for their surroundings. Keeping a check on your indoor air paves a way for you to lead a healthy and relaxing home time.